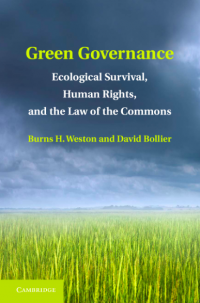 The book, published in cooperation with the Heinrich Böll Foundation and its office in Sarajevo, is a rigorous yet accessible 170-page introduction to the commons, with an accent on developments in the region of South East Europe (SEE). Its main editor and author is Tomislav Tomašević, with additional editing by Vedran Horvat and Jelena Milos, augmented by contributions from a number of individual authors and a larger team. The Rojc Community Centre in the City of Pula. I highly recommend the book. 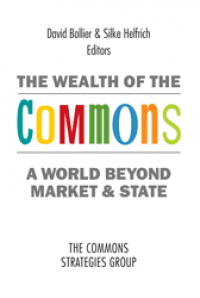 It’s a tight, well-written, and carefully documented overview of a region whose commons have not received enough attention. 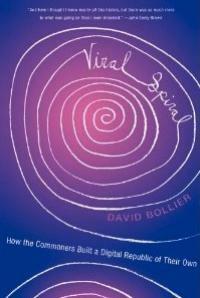 The book starts with a “compact history of the commons” featuring the classical theory of the commons and newer “critical theory.” From these chapters, the book introduces the history of the commons in the region, cases of commons governance there, and significant political struggles against enclosure. Ethnologist Jadran Kale writes that the common pastures in Croatia and Slovenia were called gmajna, which obviously comes from the German word Gemeine meaning “common.” In the see countries under the Ottoman rule, there was an interesting concept of vakuf, which comes from the Arabic word waqf and was an inalienable endowment in land, building or other asset under Islamic law that could be freely used by all members of the community but in sustainable way. Despite some of the differences between the SEE countries, historian, and philosopher Maria Todorova writes about the regionally specific social form of extended family cooperative, which became well known in international anthropological literature as zadruga. This was an agricultural socio-economic communal organisation based mostly on kinship, with rather democratic governance and common property institutions. This chapter of the book traces the history of commons following World War II to the present, noting the distinctive history of Yugoslavia as part of the Non-Aligned Movement (neither market-capitalist West nor state-socialist East). The country hosted a variety of self-governance experiments such as workers self-management and “social ownership” of all means of production. Of course, despite the nominal ownership by workers and citizens, decisionmaking remained in the hands of an elite. 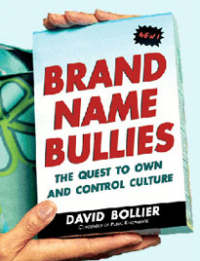 This historical context is important because, as the book notes, “such a legacy is a major obstacle for advocating any forms of commons in the region today....Even words like ‘cooperative (zadruga), which are not controversial in Western Europe, are considered insulting and hostile by many people in the region” because of the previously mandated agricultural coops in socialist Yugoslavia. With the past either vilified or bathed in nostalgia for a more stable time, it can be hard for contemporary minds to grasp the realities of peer governance. Would-be commoners in the SEE region must navigate the gap between the repressive totalitarian past, the bloody civil strife of the 1990s, and the fierce neocapitalist capitalist exploitation that has occurred under the auspices of representative democracy. As the authors explain, the latter resulted in “de-industrialization, high unemployment and increasing poverty” while also disabling the instruments of direct and participatory democracy” that might have allowed citizens to control their elected governments. 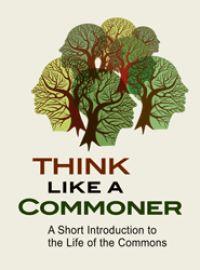 Significantly, activist commoners have often embraced the governance practices of commoning in their struggles. In fighting to protect Varšavska Street against the construction of a shopping mall in downtown Zagreb, for example, and in student fights against the commodification of the education system, activist occupations self-governed themselves as commons. 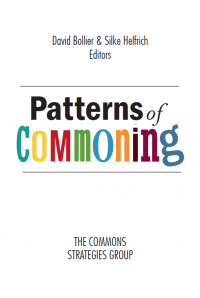 There is much more in this book worth checking out – the case studies of pasturing commons, the Rojc Community Centre in the City of Pula, and the Luke water supply system in Bosnia and Herzegovina. The book also chronicles the struggles against enclosure in the region, such as the effort to protect Srđ Hill above the City of Dubrovnik from construction of a massive, upscale golf course, villas and hotels. The report can be downloaded as a pdf file here.